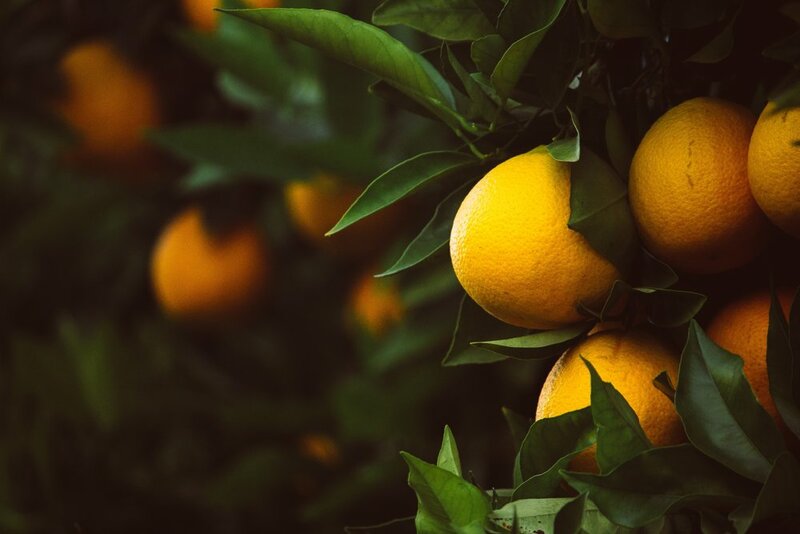 We’ve known about the power of citrus way before any scientists could come up with proof that it was good for us. Back in the day, we figured out that citrus prevents scurvy and could mean the difference between life and death. The category of “citrus” includes lemons, limes, oranges and grapefruits. What makes these acidic orbs so amazing? Read on to find out! Vitamin C - almost everyone knows that oranges contain vitamin C, which not only prevents scurvy but gives our immune system a serious boost AND supports skin health since vitamin C is essential for collagen production. Fiber - all fruits and veggies contain fiber and snacking on an orange is a really sweet way to get your fiber in! Kidney stone prevention - citrus fruits raise levels of citrate in your urine, which helps to prevent kidney stones. Antioxidants - high levels of antioxidants reduce cancer risk and support heart health. Flavonoids - these compounds are anti-inflammatory and can help prevent neurodegenerative diseases like Parkinson’s and Alzheimer’s. Lemon water is a favorite amongst my clients. It seems like a super simple recommendation, but squeezing half a lemon into your water makes it more tasty, boosts digestion, gives you a dose of vitamin C and energizes you. A lot of them prefer to do it in the morning on an empty stomach, and one just sips on lemon water all day long. I love adding lemons and limes to juices I make and using their juice in sauces and cooking. I’ve never personally been a big fan of grapefruits - too bitter for me and I don’t really want to have to sprinkle sugar on something in order for me to want to eat it. But I occasionally enjoy it in juices! HOT TIP: Try to eat some of the pith (the white stuff) when you’re eating citrus. It contains high levels of all the nutrients discussed above and while some people think it’s bitter, it doesn’t usually have much of a flavor. I always leave a little on when I’m juicing and try to eat a little when I’m eating an orange whole. What’s your favorite way to incorporate citrus? Let me know below!